Daily drawings for various prizes such as iPhones, CB radios, or the latest and greatest tech. Find items your drivers would be interested in and raffle them off daily to keep everyone excited and engaged throughout the week. At the end of the week, raffle off your grand prize of a trip for two to a relaxing destination or another highly valued item provided by your company. When it comes to food, it tastes best when it's free and I'm sure your drivers would agree! Offer your drivers a free lunch during the week and to crank it up a notch, have leadership cook and serve the meal. Another option is to have packed lunches available for drivers to take on the road with them. Make sure to include a thank you note! Sending a simple thank you card to your drivers' home addressed to your driver and their family goes a long way, especially when it comes directly from the CEO. Your drivers' families truly sacrifice having their loved ones on the road, so it's important to thank them, as well. Organize an evening for drivers and their families for a buffet style dinner along with a night of games with chances to win prizes. Let your drivers let loose and show appreciation to their families at the same time. Wash windows as drivers pull out of your facility or find other ways to jump in on making sure trucks look their best. After all, they are your drivers home away from home. Call into your local radio stations and give your team a shout out. Discuss how safe and professional your drivers are and how much they impact not only your company, but the economy as a whole. 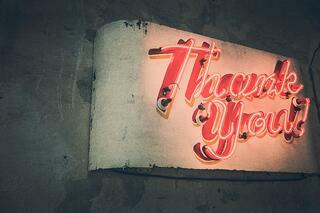 Ask the public to share in thanking your drivers. They deserve it! Compile a list of all retail locations and local restaurants offering specials to drivers during the week or month and hand it out to your drivers. Have leadership share on social media what they appreciate most about their drivers. Create a video of exactly why drivers deserve our appreciation. Also, don't be afraid to feature a few of your long standing road warriors, as well. Don't forget to appreciate your drivers all year round. Using any of the above options throughout the year to recognize drivers is a great way to let them know just how truly valued they are, this week and always. 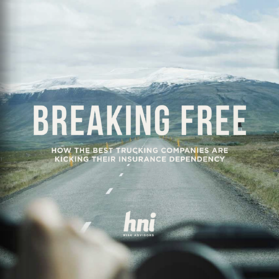 SECRETS FROM THE BEST TRUCKING COMPANIES: Many trucking executives feel like they don’t have control over their insurance costs. Even when they perform well, insurance companies demand a rate increase.